While pubs with the typical tap varieties are still popular, Melburnians are demanding more, which has led to an invasion of breweries and micro-breweries. With their palates wet for quality ale, beer enthusiasts are visiting breweries in droves to sample seasonal ales and lagers in search of the ideal amber drop. Many breweries are also working overtime to ensure that there’s a culinary option for each brew, offering everything from popcorn to pizza. Hopping onto our list are six of the best breweries and micro-breweries in Melbourne – take a sip soon. With the simple goal of creating ‘beer without border’s’, Thunder Road Brewery delivers great craft beer in a variety of flavours. From seasonal, double fermented and vintage brews to their special collections including Florida Downunder, President’s Reserve and Superwet, you’re sure to find a sip to suit you. During your visit to Brunswick’s Thunder Road, don’t forget stop by the haunted Brewers Cottage which houses brewing books and artifacts that are carefully monitored by the cottages’ two resident ghouls, Mr Burkett and James Duff. Located in the dingy Duke Street, Moon Dog is a wild mutt of a brewery that kicks convention to the curb, favouring experimental flavours. Steel barrels are visible from the bar, and there are eight eccentric flavours on tap which pair unusually with the free popcorn. Among their wildest flavours are pumpkin, chilli and truffle. Engage in a game of foosball or visit the pizza wagon out front. Sure, it may be a hike to get to, but Moon Dog is worth the journey and will leave you howling for more. After quitting their jobs, brothers Andrew and Dave Ong began their joint brewing venture in 2007. Using salvaged equipment from the pre-Disney days of Time Square, 2 Brothers offers genuine craft beer that can only be found at a micro-brewery such as theirs. You can visit their Beer Hall on Thursday and Friday nights or feast at the food trucks parked outside the brewery on Saturday afternoon. Try the refreshing Kung Foo Rice Lager, full bodied Growler American Brown Ale or the funky James Brown Belgian Brown Ale. From humble beginnings as a backyard brew house in Elsternwick, Mountain Goat now produces quality Australian ale available in bottle shops and pubs. 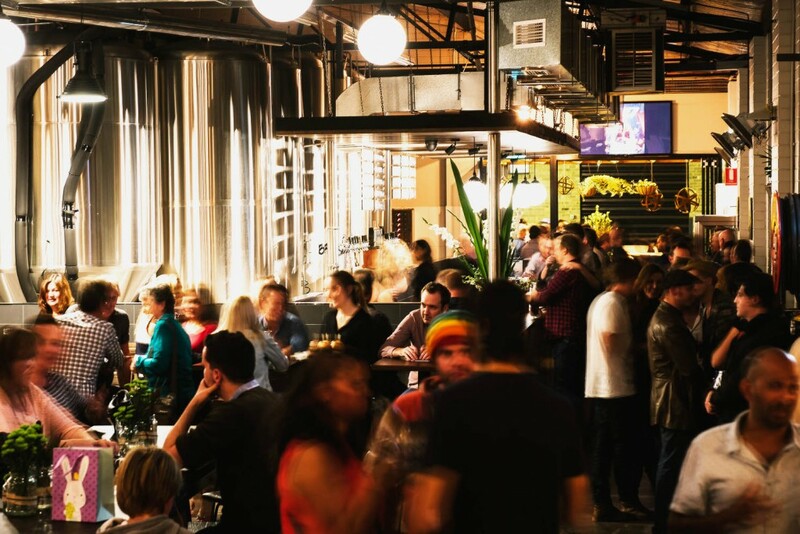 Located in a warehouse in Richmond East, Mountain Goat opens their doors to the public on Wednesday and Friday nights from 5 pm and offers a brewery tour every Wednesday at 6:30 pm. You’ll find all their beers on tap along with their limited edition brews, and they’ll even cook you up a wood-fired pizza to accompany your ale of choice. Australia’s first female-owned brewery was established by Jayne Lewis and Danielle Allen who wanted to make approachable beers that went hand in hand with good conversation and mateship. Their list of ales includes Bantam IPA and Taco Beer – yes, you read that right – and their tasting room is open three days a week and aligns 12 different ales with carefully considered cuisine. Two Birds is located a short walk from Spotswood station, making this an easily accessible brewery to visit. Ex-winemakers Sam Hambour and Duncan Gibson have hopped over the fence and set up shop in a former soap, candle and ammunition factory from the 19th century. With minimal filtration and fining or pasteurization and minimal filtration, their beers mirror winemaking by placing the focus back on quality ingredients. With a focus on hops, hence the name, Hop Nation offers three core beers – The Fiend, an Australian IPA; The Buzz, a hopping American beer named after Buzz Aldrin; and The Damned, a thirst-quencher.